Welcome to the Leeward Lacrosse Team Page! 5:00-6:30 at Pu’uloa District Park, next to Keoneula Elementary School/ Firestation. Please feel free to visit a practice and bring a friend! The more the merrier! AYLA does not endorse or warrant equipment posted on this page as safe. The buyer or recipient of equipment on this page is responsible for determining the quality of equipment and assumes all risk and liability. 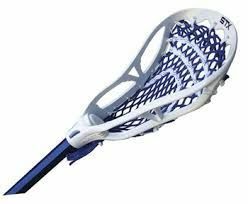 The purpose of the Gear Exchange is to provide a place to donate or sell used lacrosse equipment. Many of us outgrow or upgrade and no longer need the old equipment. Others are looking to save money.